Quick aside for a status update: We are currently staying in Cochabamba, Bolivia for the month (already 2 weeks in) where we are volunteering with a couple of local NGO’s. We’ll write more about it soon. 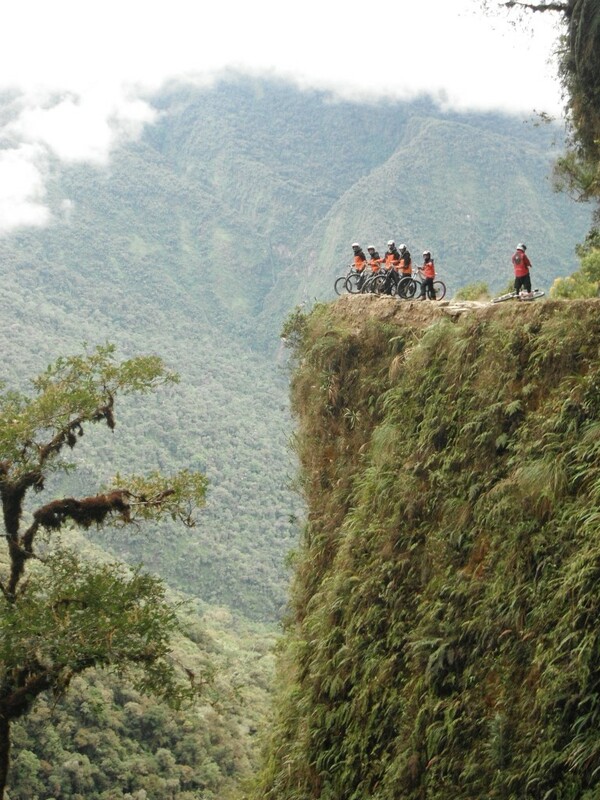 A couple weeks ago, while in La Paz, we took on the task of biking down the “World’s Most Dangerous Road” or “Death Road” as it is also commonly known. 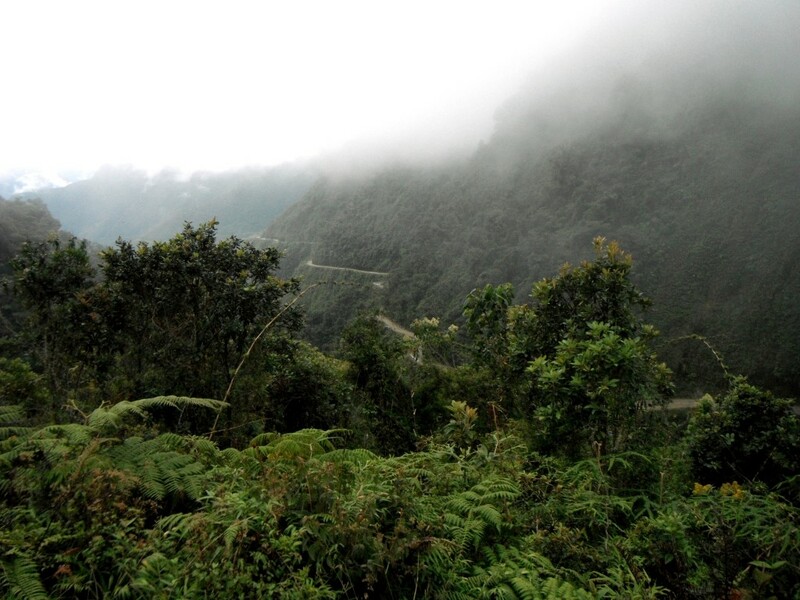 This road, with the official name being “North Yungas Road”, is one of the main attractions in the La Paz area. 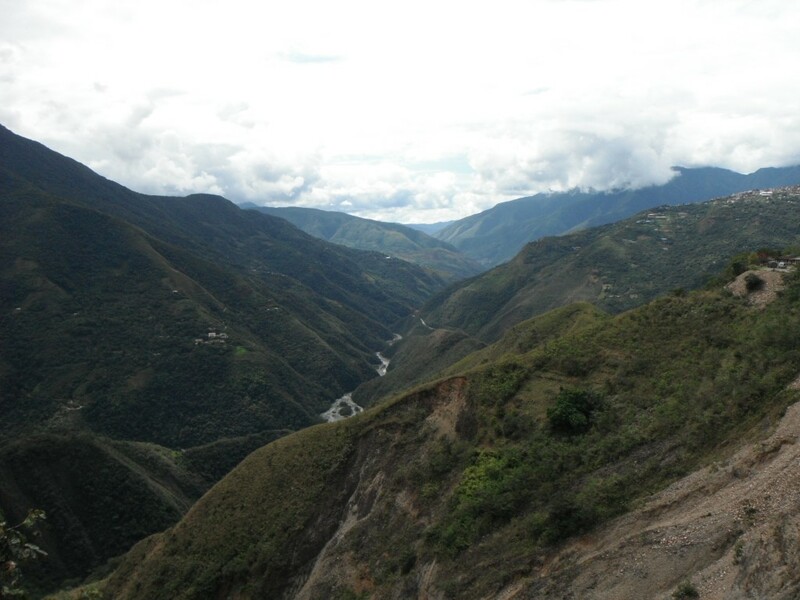 The road is made of mainly dirt/gravel and is approximately 65km long. 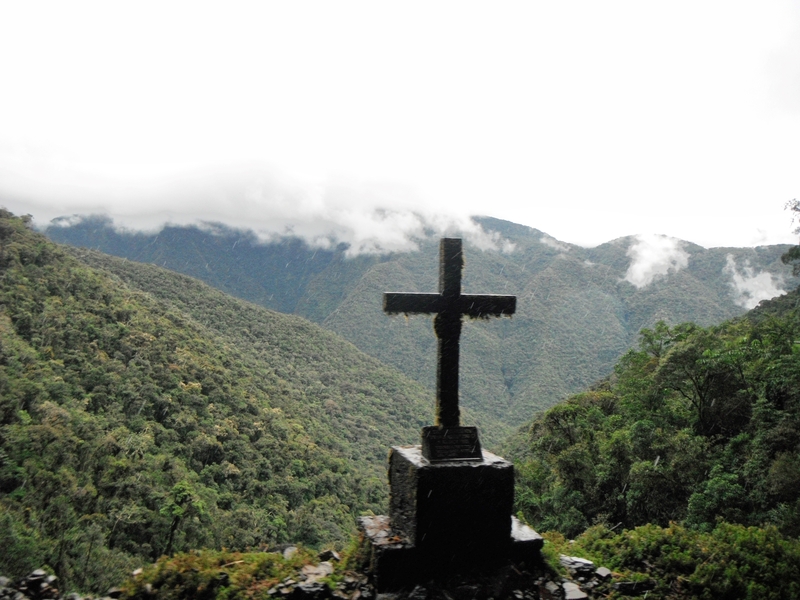 It connects La Paz with the jungle community of Coroico. What makes the road so dangerous is that its width is essentially one car lane and that it lacks sufficient guard rails. 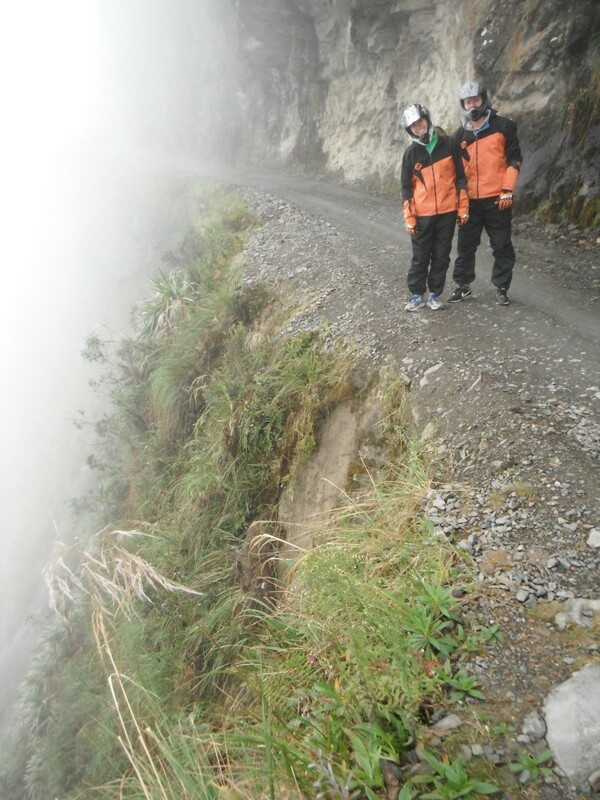 Did I mention that right next to the road are cliffs that feature drops as much as 2000 feet? In its heyday, there were many accidents where cars would fall off the side of the road. It is estimated that 200 to 300 people died in accidents every year on the road. 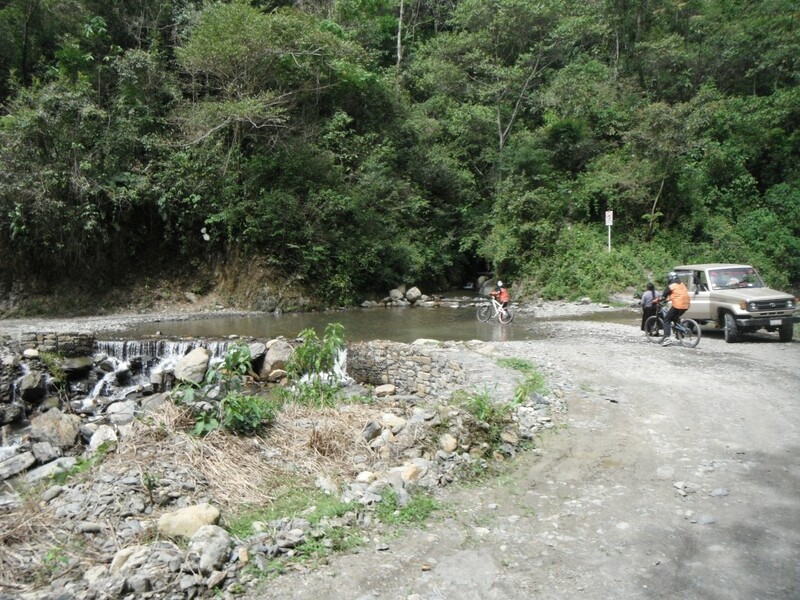 Thankfully, they ended up building a better paved road that connects La Paz to the jungle community in 2006, so cars don’t frequent the road as much anymore. Pretty much the only cars you will see are the support vans from the various bike companies that are leading tours down the road. For our ride, we ended up going with Vertigo Biking Tours, who were quite excellent. 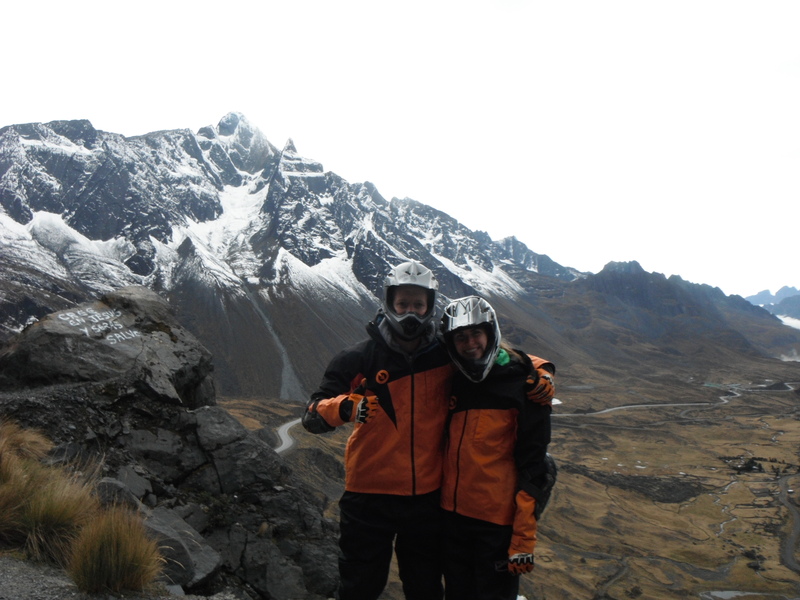 They equipped us with helments, elbow pads, knee pads, gloves, heavy duty pants, and a jacket. The bikes had pretty good shocks, which was a godsend going down the dirt road. With all the equipment, it definitely eased any worries we may have had. The guide also brought along a camera so that we wouldn’t have to worry about taking photos while we were riding, which was a huge plus. While I spent the beginning of this post talking up how dangerous the road was, it wasn’t actually that scary. Granted, there still is some danger involved (particularly with falling off the bike), and you do hear the occasional horror stories of tourists falling off the cliff, but from what we could tell, as long as you are not an idiot (aka taking selfies while you are riding close to the edge) and focus on the road, you were fine. All in all, the ride was awesome. It was the most fun I’ve had on a bike ride that I can remember. 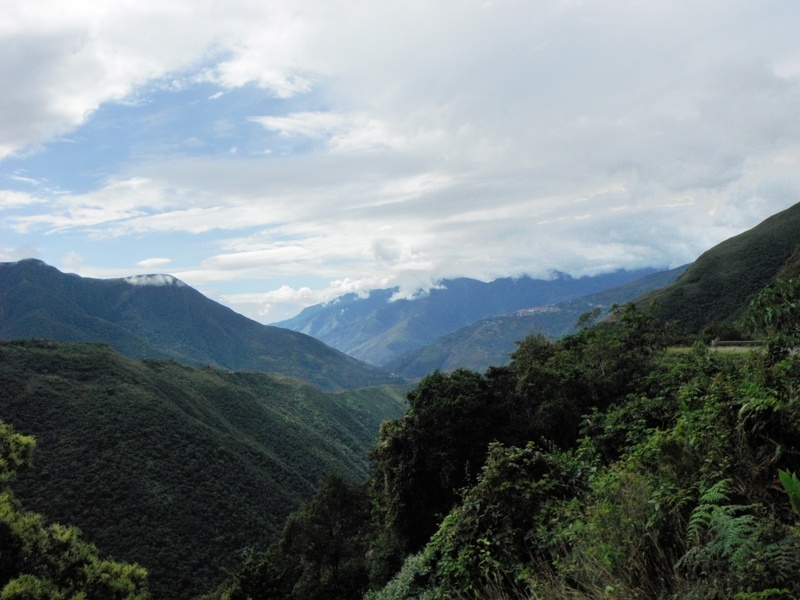 While we were mainly focused on keeping our bike on the road during the ride, it was hard not to marvel at the expansive views of lush mountains/cliffs out of the corner of our eyes. It started at 4650 meters above sea level where it was snowing. 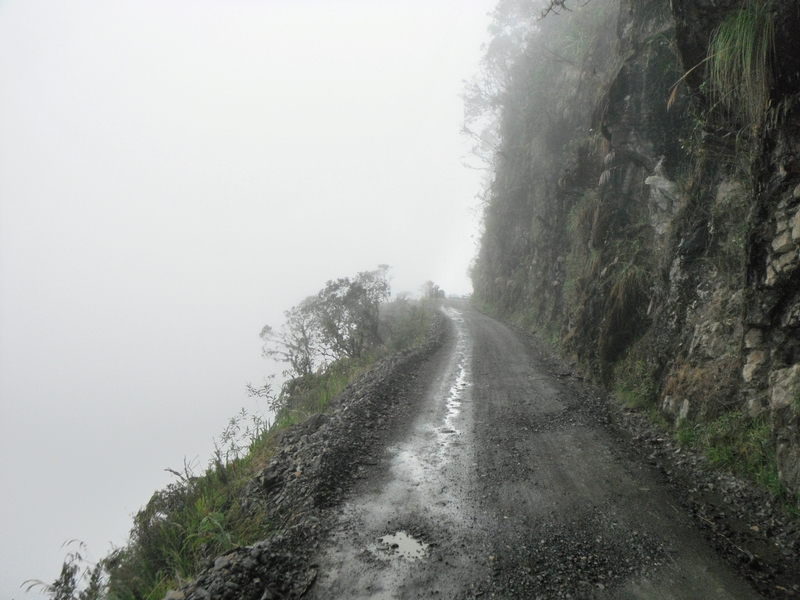 And it ended at 1200 meters above sea level in the rainforest. Most of the ride was downhill, so it wasn’t too intense physically. 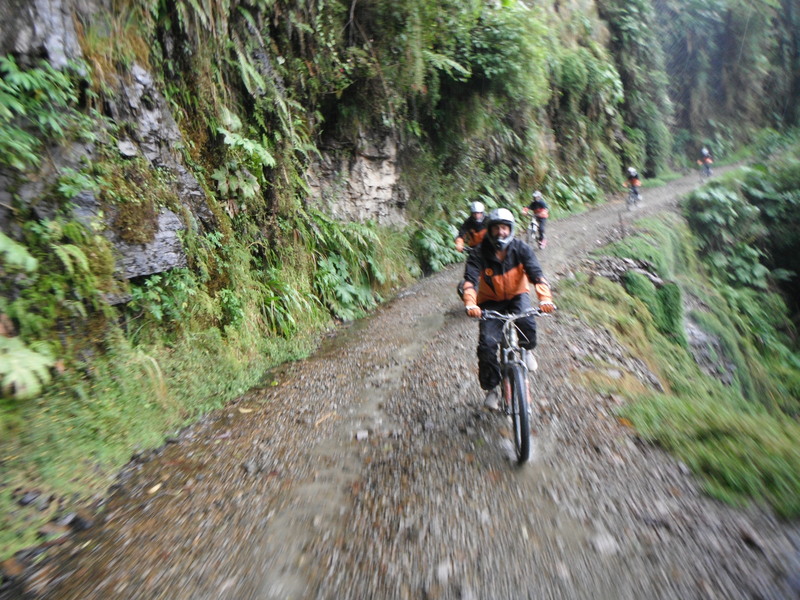 In total, we were probably riding for 3-4 hours, which included a 20km “warmup” on a paved highway before we started on the “World’s Most Dangerous Road”.